[PDF] Environment, Trade and Society in Southeast Asia: A 'Longue Duree' Perspective (Verhandelingen Van Het Koninklijk Instituut Voor Taal-, Land) | Free eBooks Download - EBOOKEE! 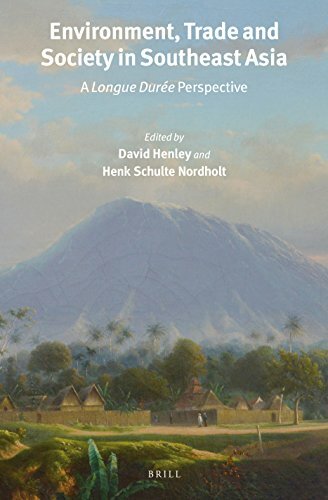 Description: In Environment, Trade and Society in Southeast Asia: A Longue Duree Perspective, eleven historians bring their knowledge and insights to bear on the long Braudelian sweep of Southeast Asian history. In doing so they seek both to debunk simplistic assumptions about fragile traditions and transformational modernities, and to identify real repeating patterns in Southeast Asia's past: clientelistic political structures, periodic tectonic and climatic disasters, ethnic occupational specializations, long cycles of economic globalization and deglobalization. Their contributions range across many centuries: from the Austronesian expansion to the Aceh tsunami, and from the Sanskrit cosmopolis to the Asian financial crisis. The book is inspired by, and dedicated to, Peter Boomgaard, a scholar whose work has embodied the Braudelian spirit in Southeast Asian historiography. This title is available online in its entirety in Open Access." No comments for "[PDF] Environment, Trade and Society in Southeast Asia: A 'Longue Duree' Perspective (Verhandelingen Van Het Koninklijk Instituut Voor Taal-, Land)".